Cassini came close to Saturn's small moon Helene on Feb. 25, 2006, acquiring this high-resolution view. 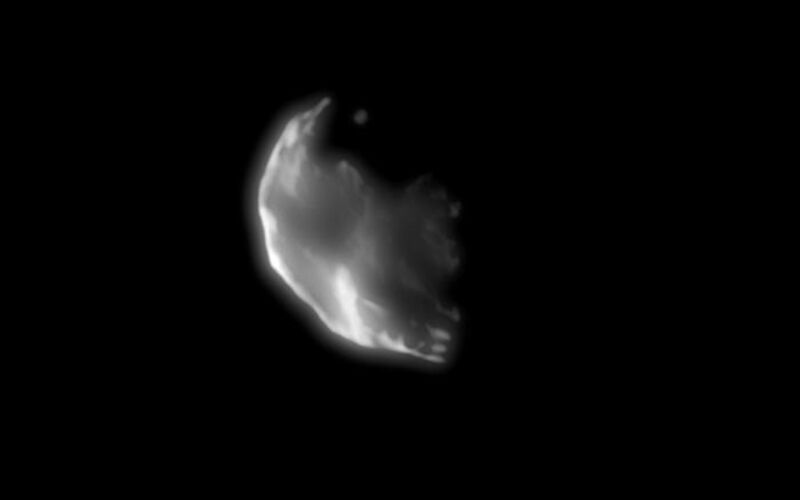 This object seems to be buried in its own crater debris, like another Saturnian moon, Telesto. Helene (32 kilometers, or 20 miles across) orbits 60 degrees ahead of Dione in the larger moon's orbit, making it a "trojan" moon of Dione. 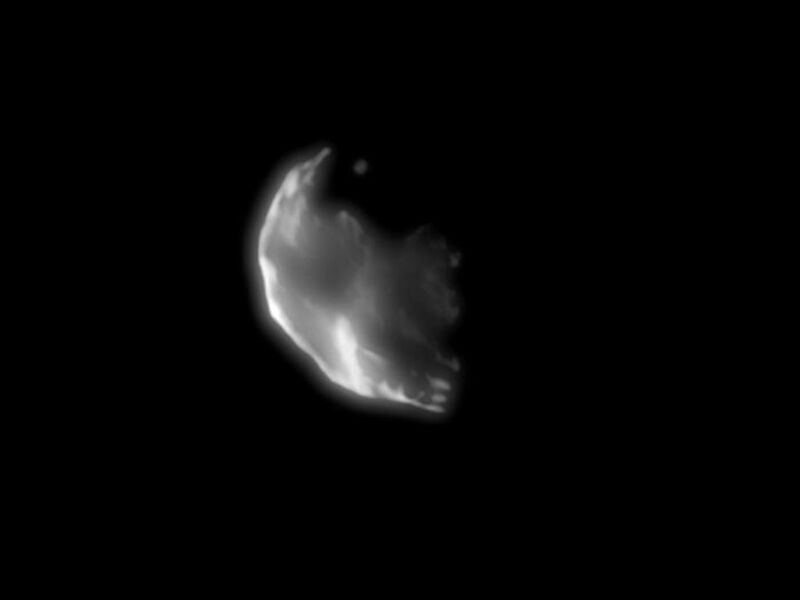 Trojan moons are named for the Trojan group of asteroids that orbit 60 degrees ahead of and behind Jupiter as it circles the sun. 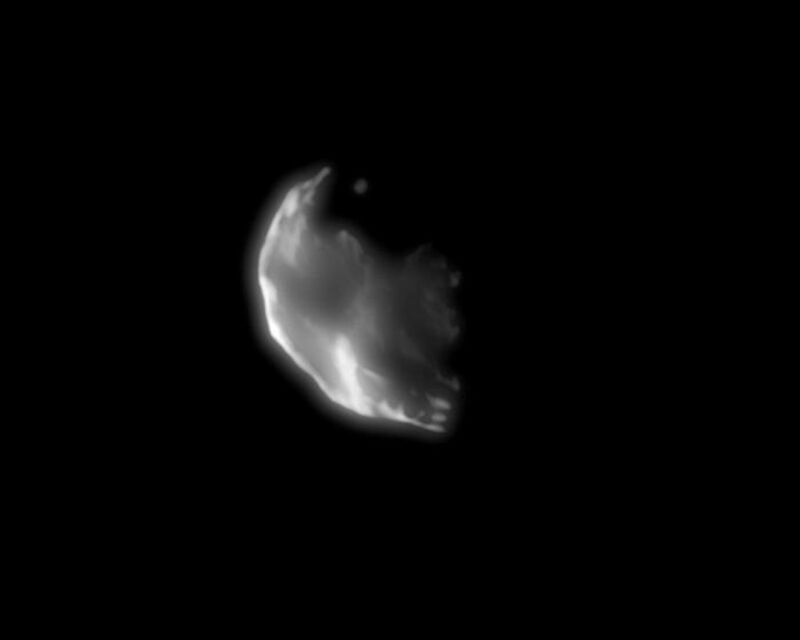 This image was taken in visible light with the Cassini spacecraft narrow-angle camera at a distance of approximately 68,000 kilometers (42,000 miles) from Helene and at a sun-Helene-spacecraft, or phase, angle of 99 degrees. Image scale is 406 meters (1,334 feet) per pixel.